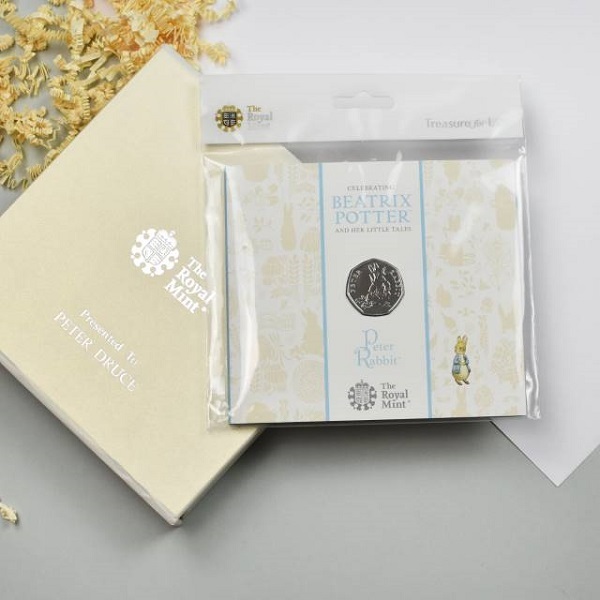 Inside this personalised gift box lies a special Royal Mint 50 pence coin that has been made specially made to celebrate Beatrix Potter and her fabulous tales. 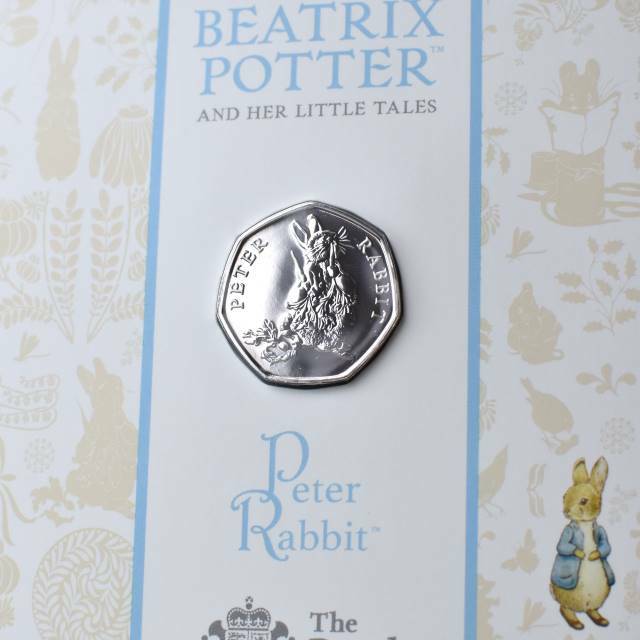 The Brilliant Uncirculated coin features Peter Rabbit and is one of only thousands to have been made by the Royal Mint. 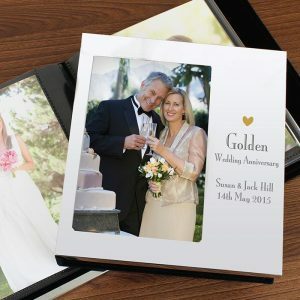 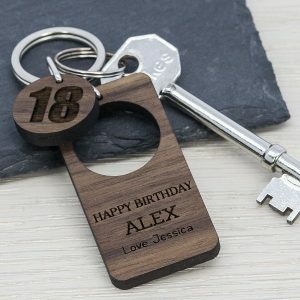 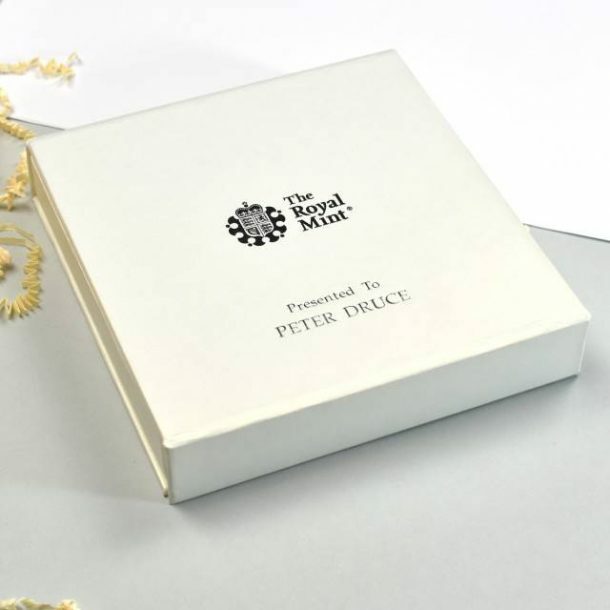 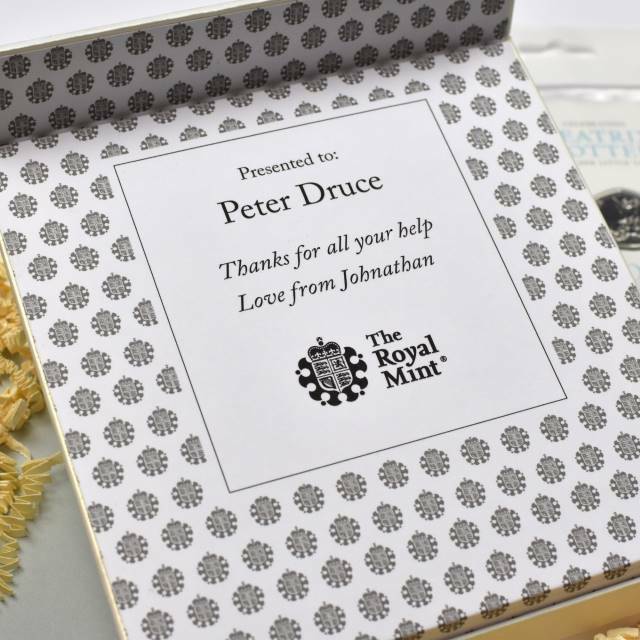 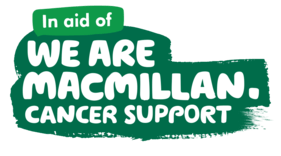 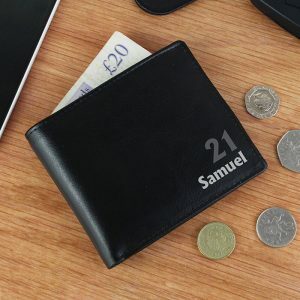 The box itself is personalised, with the recipient’s name which is embossed on the lid, and also printed on the inside of the lid above a personal message. 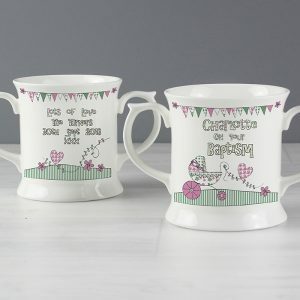 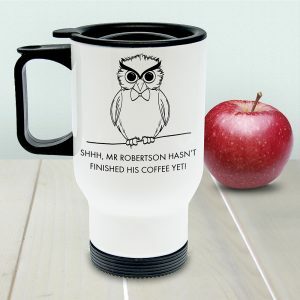 A wonderful collectable item that can be given on any occasion to all Beatrix Potter fans, a thoughtful gift idea for a Christening, Birthday or at Christmas.